Spring is on its way! After a long and snowy winter, you will be relieved to know that Spring is right around the corner. 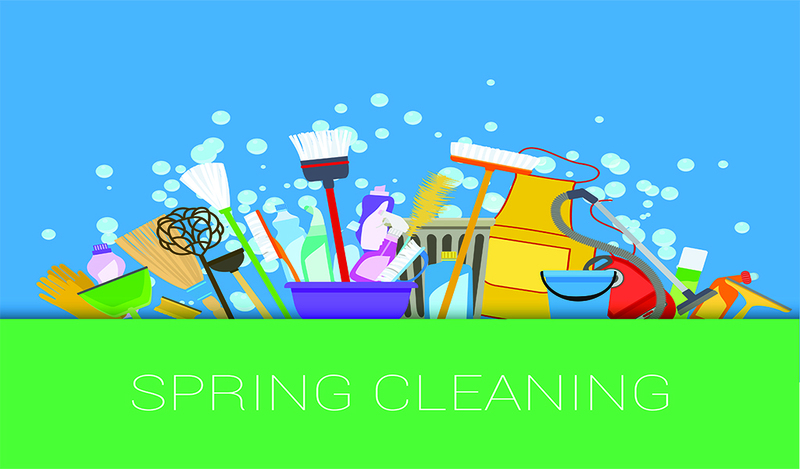 The best way to freshen up your mind and welcome the lighter nights is with a good spring clean! Time to declutter and get the cleaning products out, but where do you start? Firstly, you will be pleased to know that you can buy our All Purpose Cleaning Cloths to solve all your office and kitchen surface needs. Wipe down the sides and clean the desks with these handy wipes and you will see your own reflection in no time. For that extra bit of dirt, you can clean with ease with our trusty Dettol Antibacterial Cleansing Surface Wipes. You won’t even have to break a sweat to say goodbye to dirty surfaces. Don’t forget the floors! After a long winter of dirt being carried in from employees, those hard surface floors will be thankful for our Ecoforce Multipurpose Cleaner. Supplied in an impressive 5 Litre container it will last you until your next spring clean! And for the carpets, you’ll need the reliable Henry Vacuum Cleaner that is so powerful yet quiet, it is the ideal office vaccum. All that dirt must go somewhere so make sure you are stocked up on our 15 Ltire Bin Liners supplied in a handy 300 pack. If you are still stuck for choice out of all the cleaning products you will need for your spring clean, we have a fantastic Spring Cleaning Set just for you! Containing everything you will need to get your office spick and span including 1x cleaning caddy, 1x glass cleaner, 1x green cream cleaner, 1x Kleenoff toilet cleaner, 1x all-purpose cleaners, 1x Easy bathroom cleaner, 1x Easy washing up liquid, 1x Clean & Shine furniture polish, 1x pair of rubber gloves, 1x green scourer, 1x yellow duster and 4x HD antibac cloths. Clean your office as a team and have some fun while clearing those desks. Use this opportunity to organise not only your papers and documents but also your emails and files. A clear desk creates a clear mind. Call us today to get your cleaning products and let us find the best deals for you.